Here’s a quick and delicious recipe for the holidays! 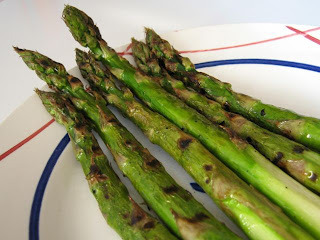 Roast your asparagus with a robust olive oil for a fantastic nutty flavor that will leave your guest wanting more. It’s incredible how much flavor a really good olive oil adds to a very simple dish. Get ready to become an Asparagus Lover if you aren’t already one!! 1. Clean and break off tough ends of asparagus. 6. Get adventurous and drizzle on some of our Red Apple Balsamic Vinegar before serving! You can visit Carter & Cavero at their stores in Red Bank, Long Branch and Princeton, New Jersey or shop online at www.carterandcavero.com.